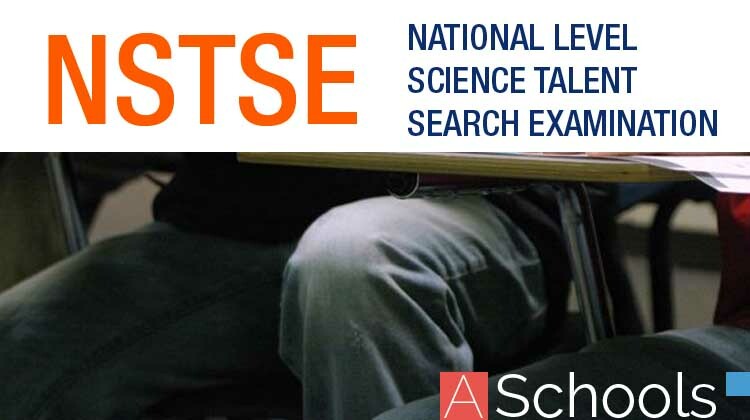 Get here NCERT Solutions for Class 11 Chemistry Biology 18. 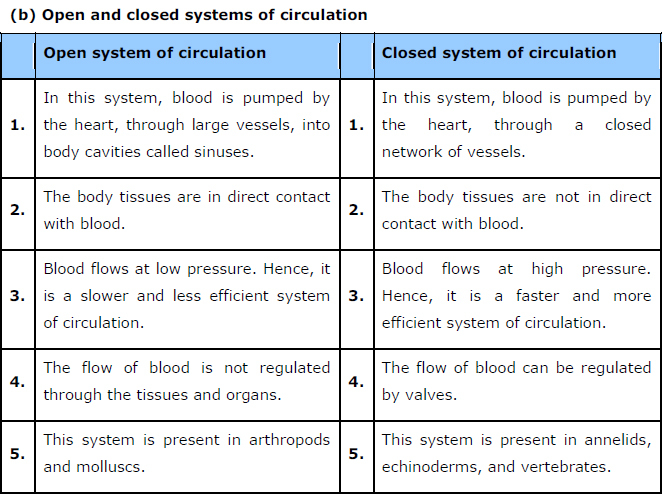 These NCERT Solutions for Class 11 of Biology subject includes detailed answers of all the questions in Chapter 18 – Body Fluids and Circulation provided in NCERT Book which is prescribed for class 11 in schools. 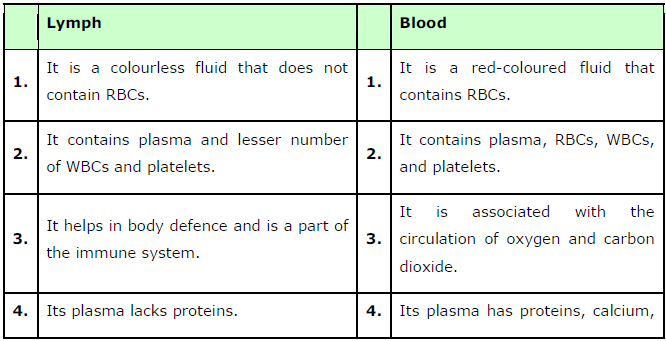 AnswerPlasma is the colourless fluid of blood which helps in the transport of food, CO2, waste products, and salts. It constitutes about 55% of blood. About 6.8% of the plasma is constituted by proteins such as fibrinogens, globulins, and albumins. Answer Connective tissues have cells scattered throughout an extra-cellular matrix. They connect different body systems. 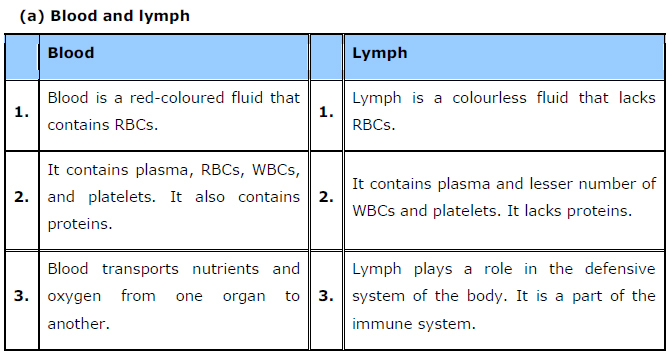 Blood is considered as a type of connective tissue because of two reasons. 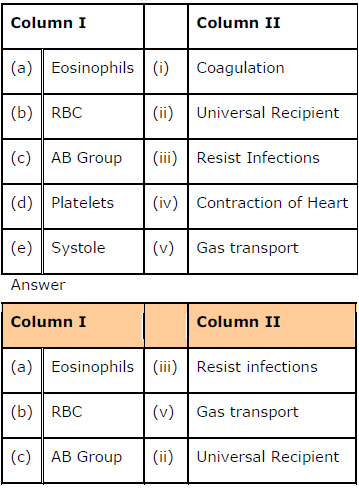 Answer Double circulation is a process during which blood passes twice through the heart during one complete cycle. This type of circulation is found in amphibians, reptiles, birds, and mammals. However, it is more prominent in birds and mammals as in them the heart is completely divided into four chambers – the right atrium, the right ventricle, the left atrium, and the left ventricle. Answer All vertebrates possess a heart – a hollow muscular organ composed of cardiac muscle fibres. The function of the heart is to pump oxygen to all parts of the body. The evolution of the heart is based on the separation of oxygenated blood from deoxygenated blood for efficient oxygen transport. 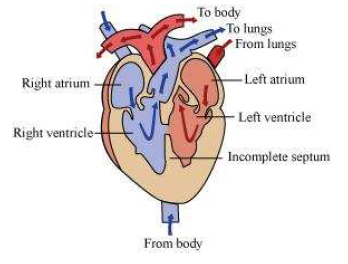 Answer In the human heart, contraction is initiated by a special modified heart muscle known as sinoatrial node. 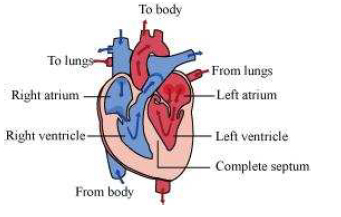 It is located in the right atrium. The SA node has the inherentpower of generating a wave of contraction and controlling the heart beat. Hence, it is known as the pacemaker. Since the heart beat is initiated by the SA node and the impulse of contraction originates in the heart itself, the human heart is termed myogenic. The hearts of vertebrates and molluscs are also myogenic. Answer The sino-atrial (SA) node is a specialised bundle of neurons located in the upper part of the right atrium of the heart. The cardiac impulse originating from the SA node triggers a sequence of electrical events in the heart, thereby controlling the sequence of muscle contraction that pumps blood out of the heart. Since the SA node initiates and maintains the rhythmicity of the heart, it is known as the natural pacemaker of the human body. Answer The atrioventricular (AV) node is present in the right atrium, near the base of the inter-auricular septum that separates the right auricle from the ventricle. It gives rise to the bundle of His that conducts the cardiac impulses from the auricles to the ventricles. 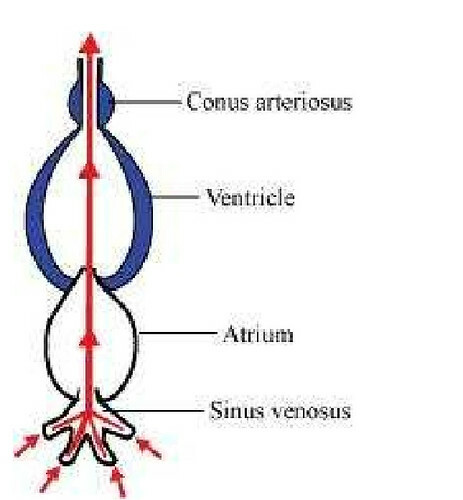 As the bundle of His passes the ventricle along the inter-ventricular septum, it divides into two branches – the right ventricle and the left ventricle. Answer Cardiac cycle is defined as the complete cycle of events in the heart from the beginning of one heart beat to the beginning of the next. It comprises three stages – atrial systole, ventricular systole, and complete cardiac diastole. 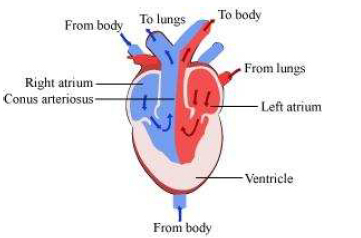 Cardiac output is defined as the amount of blood pumped out by the ventricles in a minute. Answer Heart sounds are noises generated by the closing and opening of the heart valves. In a healthy individual, there are two normal heart sounds called lub and dub. Lub is the first heart sound. It is associated with the closure of the tricuspid and bicuspid valves at the beginning of systole. The second heart sound dub is associated with the closure of the semilunar valves at the beginning of diastole. These sounds provide important information about the condition and working of the heart. Answer Electrocardiogram is a graphical representation of the cardiac cycle produced by an electrograph. 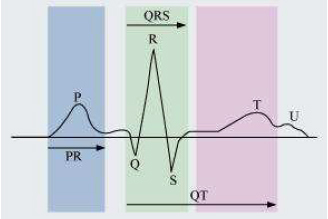 The diagrammatic representation of a standard ECG is shown below.